In 2018 Perth Junior Badminton Club has successfully gained Bronze Club status in BADMINTONscotland’s new club accreditation scheme Shuttlemark, as well as accreditation for Bronze level of the Perth and Kinross Accredited Club Excellence Scheme (PACES). Shuttlemark aims to support clubs to develop and strengthen their infrastructure, plan for the future and in turn increase capacity and grow. Increasing participation, developing coaches, volunteers and workforce whilst having solid plans for the future are key to a club’s success and Badminton Scotland want to recognise, support and reward the dedicated volunteers with in clubs that are striving to make this happen. 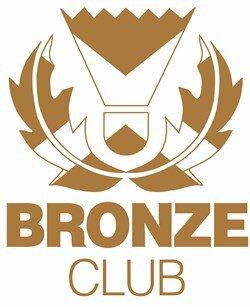 The criteria for bronze level PACES accreditation provides clubs with clear guidelines on the minimum standards a club should have in place to ensure it is well organised, caters for its members and has a strong base from which it can grow and develop. The Junior Club sessions are held from 6-7pm on a Thursday and Saturday morning from 9.30am-10.30 am, both sessions at Perth High School. The sessions cost £2 per night payable as a block payment at the start of each block. The Development Squad is held on a Thursday night at Perth High School from 7-9pm. The sessions cost £5 per night payable as a block payment at the start of each block.